Watch the Throne 2….Coming Soon? 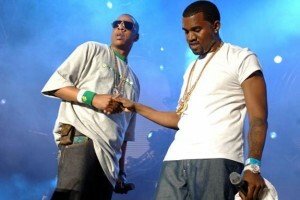 Comments Off on Watch the Throne 2….Coming Soon? As anyone who has stepped foot into a college party in the last year knows, rappers Jay-z and Kanye West produced a massive hit with their hugely successful and musically brilliant collaboration album, “Watch the Throne”. Well, lucky for us college kids and the rest of the music world, the party isn’t over just yet. Jay-z recently told MTV News that in addition to possible solo albums, the two may release a sequel to their collaboration album.